Description: This Game offers fast-paced, silly fun for whole family. 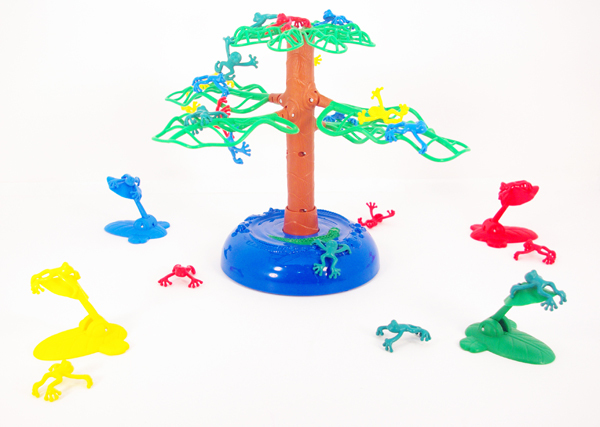 It Features frog and water sound effects and it is made with durable plastic game base and tree trunk; flexible plastic branches and frogs. It Includes 24 frogs, 4 launchers, 1 base, 1 tree trunk, 4 branches, 1 tree top, and 1 instructional sheet. Use the lily pad launchers to spring the frogs into the air.